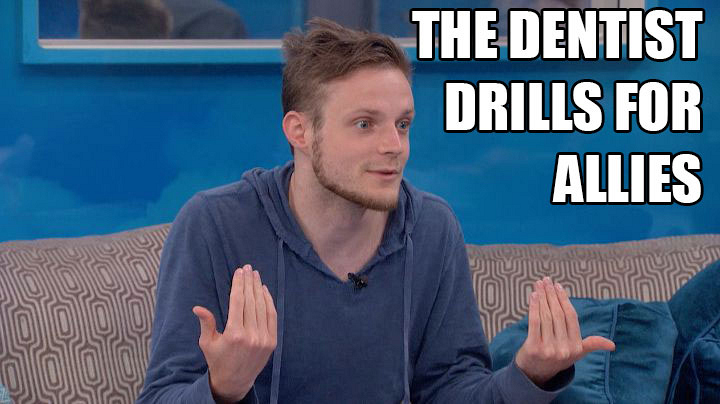 ICYMI Will Johnny Mac And Becky Rock Themselves Off The Block? Johnny Mac seeks new allies. In attempt to get himself off of the block, Johnny Mac schmoozed it up with Liz and Austin in the HoH room. During his visit, the dentist dished on Vanessa's backdoor secrets and assured Liztin that he would align with them if he stayed in the house. After learning that Vanessa once planned to kick Austin to the curb, Liz started to question if the Vegas cardshark was truly one of her allies and, by the end of the convo, the Florida babe was left wondering if she should backdoor one of her closest friends in the house.